Tall Poppy Wines produce a range of fine red wines including Cabernet Sauvignon, Merlot, Petit Verdot and the flagship Shiraz. The latter is a splendid deep, ruby red wine of exceptional flavour. A balance of natural tannins gives the wine real presence and showcases sweet berry fruit with a lingering soft acid finish. 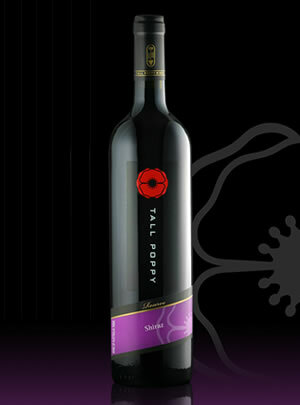 Indeed the quality of firm flavour balanced with subtle complexity is typical of all the Tall RED Poppies.